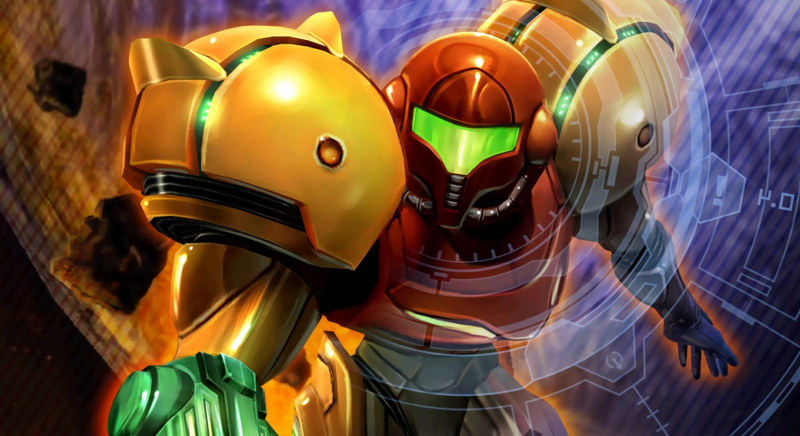 My Nintendo has been updated in North America with a raft of discounts focused around the Metroid series. The following discounts are available now, and are exclusive to the region - if you're in Europe, you won't be able to benefit. The Samus 3DS theme that was previously available in Europe and Japan is also on offer for 200 Platinum Points. It's also worth noting that the Splatoon Ink Tank for your Miitomo character has returned, costing 100 Platinum Points. This is also available in Europe. Head over to the My Nintendo site if you're interested in grabbing any of these. Just discounts, besides the theme. I'll get the theme, but why no downloadable games still? I was also surprised by the Metroid theme in the Miitomo update as well, including a whole room style.. I refuse to get my hopes up that there is a Metroid Switch announcement coming soon though! Oh, great. More games I already have. I'd have preferred Other M as an exclusive download, a la DKC: Returns. My Nintendo is so useless compared to Nintendo Club. I rather they let us buy the full game with Platinum Points rather than discounts. I want physical rewards that you can get with all the thousands of points I've got. I don't want to spend more money in order to get anything out of these points. Unless they were the opposite, say 70 or 75% off then maybe. But the current discounts are worthless when you can get that same price for a physical used copy or even new on sale at some stores. And those discounts are free. @PlaytendoGuy It should be like that. Where 2000 pts would get you the game completely, but anything less than that would just be a discount base on how much you have, i.e. 1000 pts means 50% off. I got better discounts on Metroid: Zero Mission (Wii U) and Metroid Prime Trilogy (Wii U) when they were on sale(both were half price) and it didn't cost me any platinum or gold points. I've grabbed the theme, zero mission and super metroid. Irritatingly when I go do redeem the super metroid discount it appeared to apply to the Wii U version rather then the 3DS version. Might have to contact Nintendo to fix that. But discount tiers, like @MrGuinea described, that lead up to the free download is for sure what they need to do with the gold points. Would kind of make those 30% discounts seem less like a joke. Warning for those who are looking at the Super Metroid discount. It's current messed up and the discount is applying to the Wii U version and not the N3DS version. I'm leaving on a trip in a few hours so I hope they fix this soon. Don't play with my heart, Nintendolife. Whenever I see the Metroid Prime picture above, I hope for any Metroid Prime 4 news. Yes, I'm desperate. Not interested. Already have those games. The same cringe-worthy music that caused me to change out the Zelda theme after less than a day??? Thanks, but no thanks. I think I'd rather let my Platinum points expire. I need to make a comment. Oh awesome! ....As usual....I already own all of these. My Nintendo fails again by rewarding thier most loyal customers with the very things we bought to make us most loyal customers. Gold coins for a miniscule discount to a 25 year old game. Lmao. Are they hinting at something?? I'll get the theme just because there's really nothing else to spend the points on - gotten every non-discount Platinum reward and I'm still sitting on like 1,300 points without ever having touched Miitomo. Rest is crap. Really should've done the early release for Gold points thing with Other M like they did with DKC Returns, the thing isn't terribly likely to sell anyway and at least it'd be something to use the points on. Well if they're not going to respect the franchise, might as well monetize it in other ways! 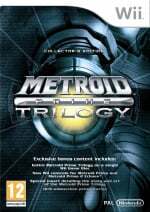 I'm mildly tempted by the Metroid Prime Trilogy discount, though 20% pales in comparison to its 50% discount in Europe a while back. I'm not sure if I should go ahead and pick it up, since even with the discount I've never spent that much on a digital game. Lovely if you don't already own it AND are confident stuff you get on Wii U won't be stuck there when it's time to get a Switch. Wwwoooow a theeeme. Makes up for the lack of Game & Watch Collections and Hanafuda cards amiright? Not seeing that Super Metroid discount reward, maybe it was a mistake? I have coins expiring at the end of the month, so I'll probably use them for the 3DS theme. I wish the coins could be traded for the full price of a game, and not just discounts. Again, just discounts on games I already bought. I bought MP Trilogy the first day when it was only $10 anyway and also bought Zero Mission the day they put it up (don't recall a discount on this one at launch, but not sure). Well this gives me a reason to get Super Metroid on the 3DS and the Metroid theme. Though this is just to spend my coins. I was hoping to see maybe full games for coins like the wario ware game that came out earlier. Of course no Metroid Other M, the only one I never had...don't judge me I want to try it for myself. @Equinox I doubt the new My Nintendo will ever have physical rewards, among other things because it makes world wide delivery more complicated. But I do hope they have more full game downloads for coins instead of just a discount, like they did with the Zelda TP Picross game. "This theme is part of our celebration of all things Metroid™, inspired by the launch of the Nintendo Entertainment System™: NES Classic Edition system, which includes the original Metroid™ game! @Furealz It goes for garbage bin price on Amazon. @MarcelRguez Europe got it for free (with coins) I believe. 230 Gold Coins I won't be using otherwise. Never mind I think it was 50% off but they could give it away like DCK Returns. It's also worth noting, It miss a H letter, nothing. Just report. Well, it's something. At least Miitomo was updated to be slightly more functional. It is still Tomodachi Life without the Life, but it at least you can change the wallpaper now. Might as well get the theme, considering I have yet another couple hundred coins evaporating from my account this month. @Furealz I enjoyed Other M. Mind you, had I paid full price for it I might have felt a bit ripped off, but I still don't think it's nearly as bad as many make it out to be. Certainly worth checking out as a bargain purchase. so mynintendo continues to be crap, big surprise. I might actually use the zero mission discount though since I was planning to get that at some point. It's about time we got that Metroid theme! I'll definitely grab that. None of those discounts mean anything to me, but this is a good oppurtunity to pick up "Metroid Prime Trilogy" for those who still don't have it. Hmm, I have 20 gold coins, I might grab Zero mission. I actually don't have that one yet. @AfterAnAutopsy Yeah, and to be honest I had expected those gold coins to just expire with no opportunity to use them at all. I don't buy enough (digitally) to collect enough to get any discounts on major titles so I figured they were just wasted. It's nice to see a reward or two for only 20 instead of 120. 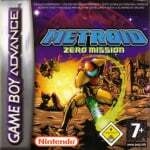 @Alshain01 Zero Mission is my personal favorite Metroid game. If I were you, I would go ahead and take that discount and enjoy. @Buster13 Amazing. They only do one worthless thing, and they can't even do THAT right. I implore you to play Metroid Prime. We've got a lull waiting for Switch. A few months with little on the menu. Now is the time. Just do it. And discover for yourself why some say (including myself) that Metroid Prime is one of the greatest video games ever made. And just think, you'll have 2 Prime sequels to follow up with afterwards too! And Other M, which is also (though not as much) highly recommended. But yes, considering how widespread (at least judging by this website) this sentiment is, Nintendo needs to actually acknowledge this. It's just ridiculous at this point. I'd be just as easy for them to put up a nice VC game as these shallow discounts (I don't think any of them actually a discount worth more than $5, which is pathetic.) but their insistence on this makes it look like they're ungrateful to their consumers (and honestly just feels like some ploy to direct consumer interest toward specific titles or wrap them up in some cycle of purchasing games just to feel like they're getting anything out of their points). Maybe it will pick up once the Switch comes out, but the Switch has no impact on the quality of the rewards they could be offering right now. Just downloaded the theme! So glad it finally became available in NA! Look at the bright side. Nintendo actually remembers that Metroid has an anniversary.